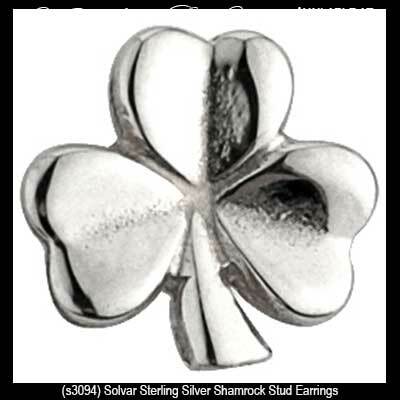 Silver shamrock earrings are available in hallmarked sterling as stud and drop styles with shamrock leaves that range from solid to open. 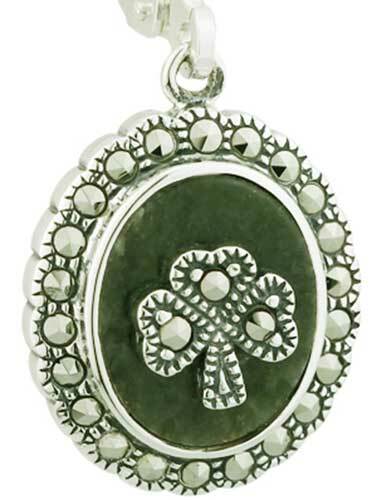 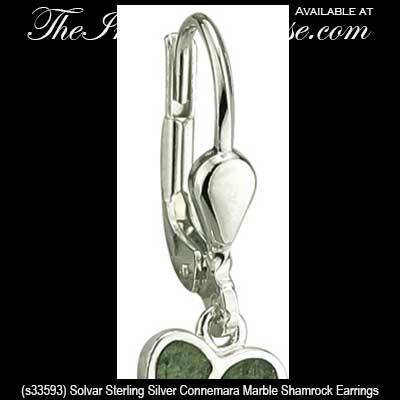 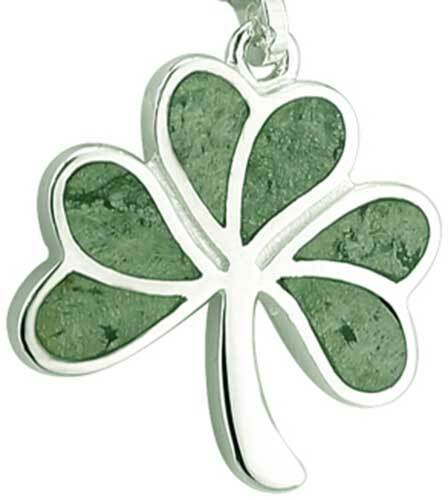 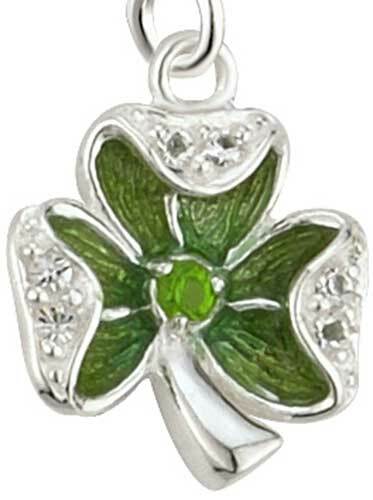 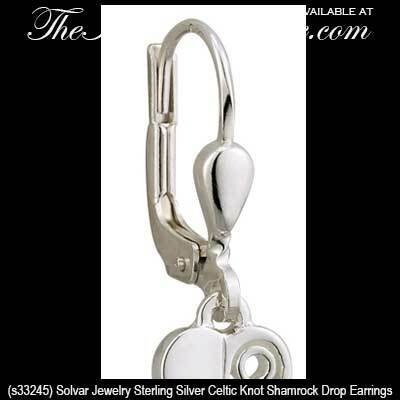 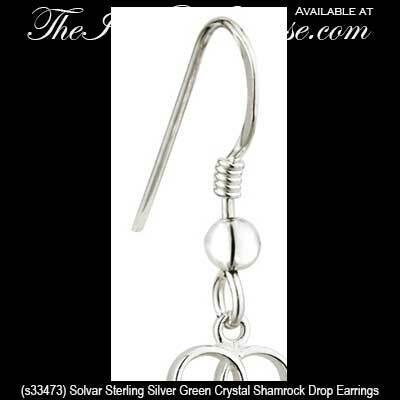 Silver shamrock earrings may be enhanced with green accenting that includes enamel and Connemara marble; however The Irish Gift House also offers the fresh look of unencumbered silver. 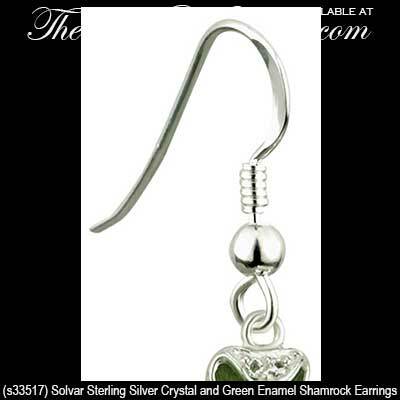 The silver shamrock earrings are available in a multitude of sizes that include tiny studs along with larger drop styles, so we should have the perfect pair for everyone. 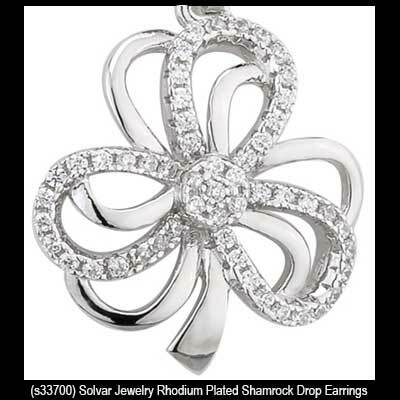 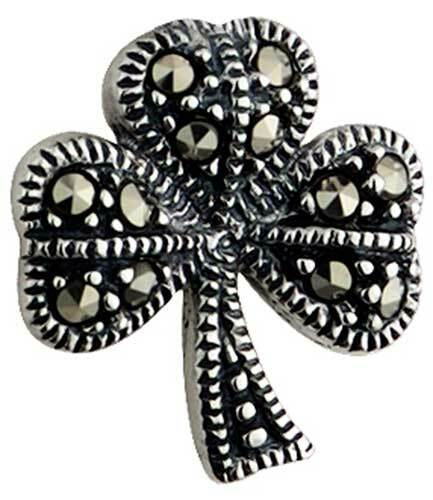 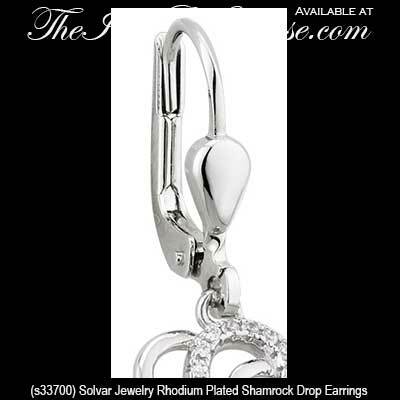 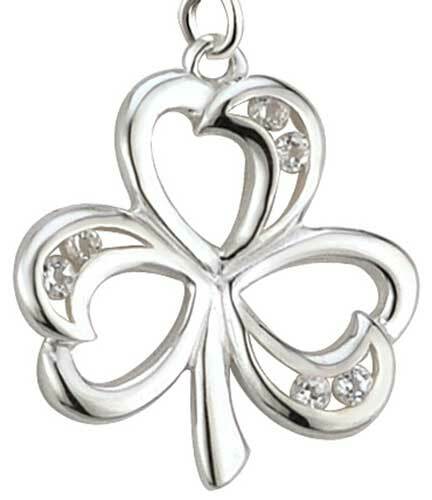 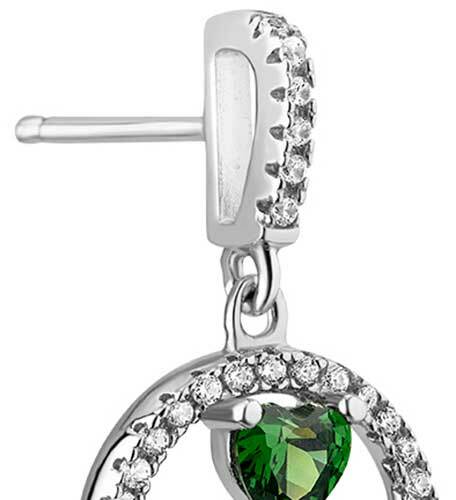 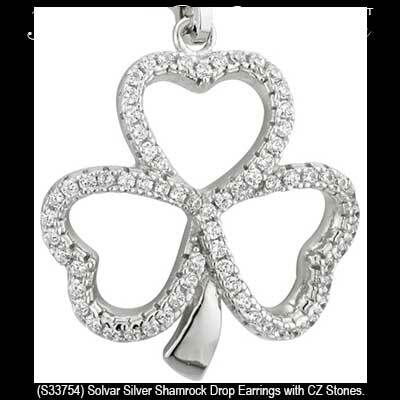 Shamrock earrings feature sterling silver construction that is studded with CZ stones. 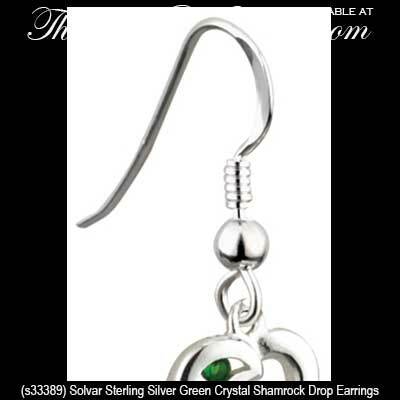 Shamrock earrings feature sterling silver construction along with green crystal leaves. 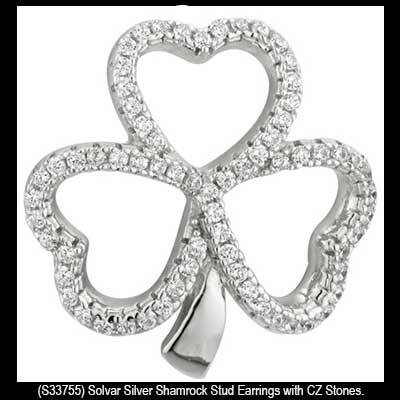 Sterling silver shamrock earrings are studs that feature open leaves that are surrounded with CZ stones. 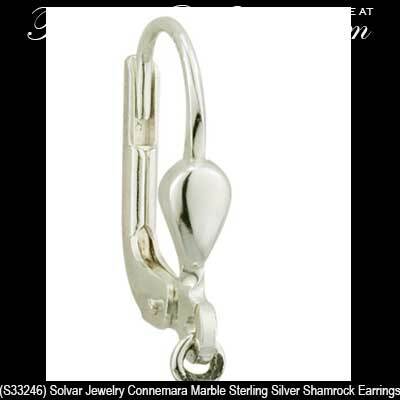 Sterling silver shamrock earrings feature a thick but hollow stud design. 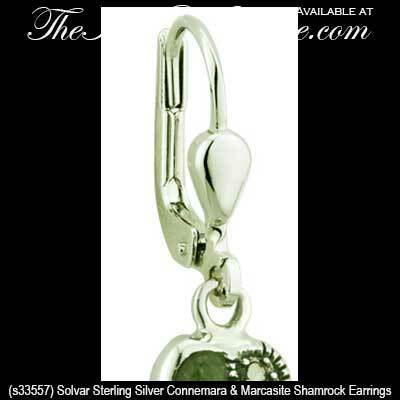 Shamrock earrings are a drop style that are cast in sterling silver and enhanced with green enamel leaves. 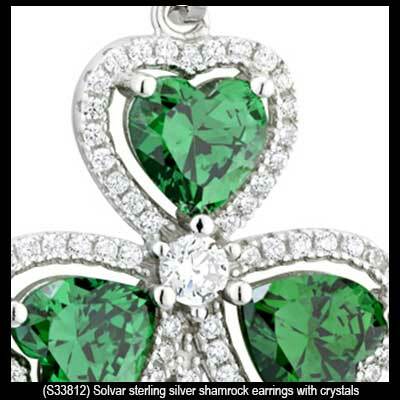 Shamrock earrings feature sterling silver construction that is enhanced with a double outline along with a green crystals. 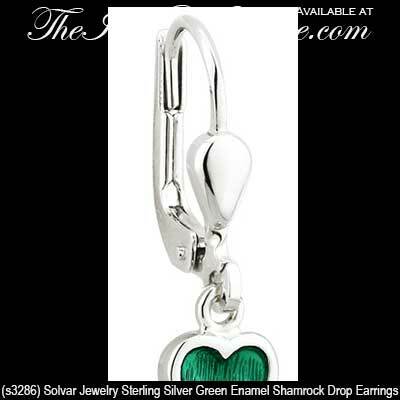 Sterling silver shamrock earrings are a studs that are enhanced with green enamel leaves. 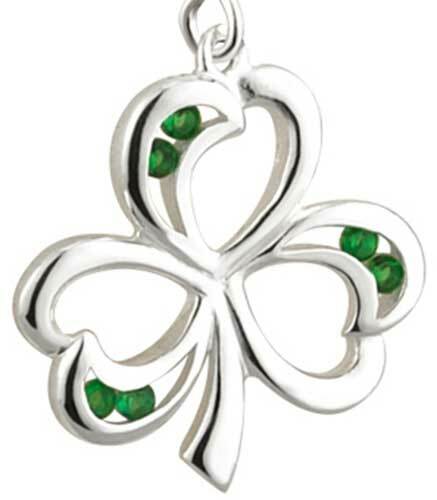 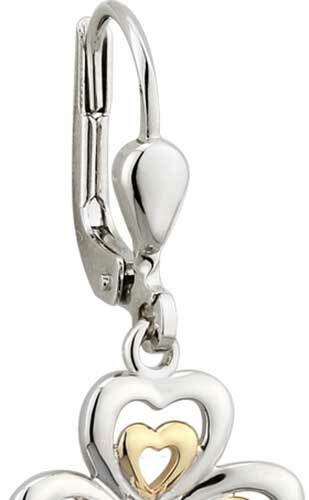 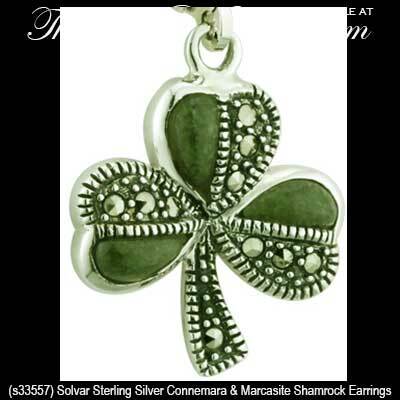 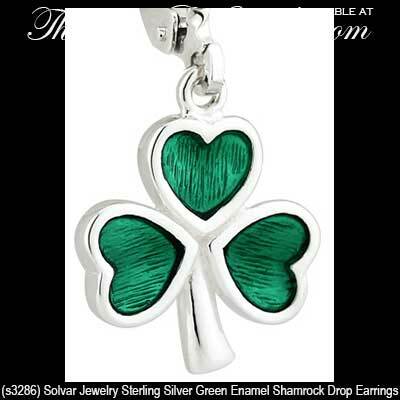 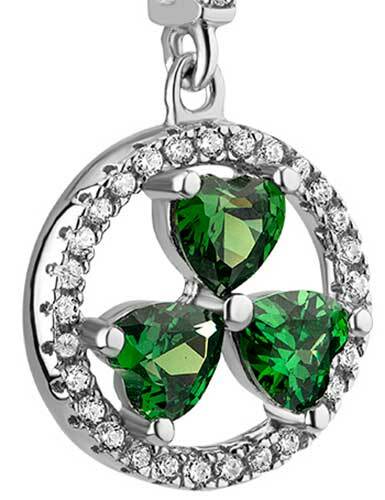 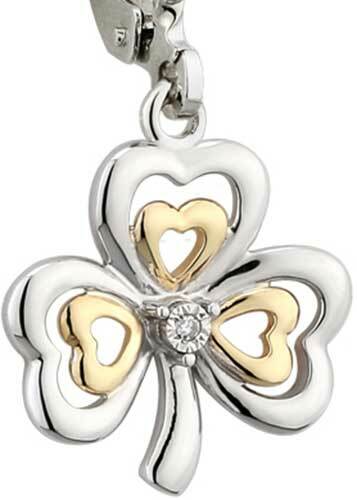 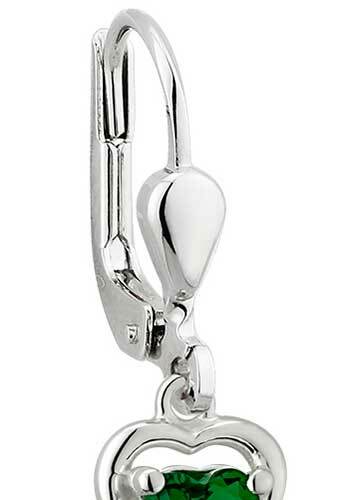 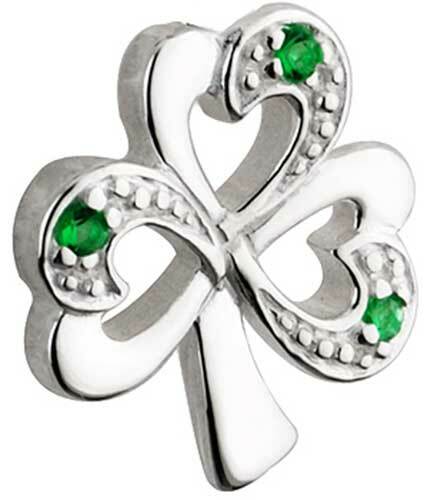 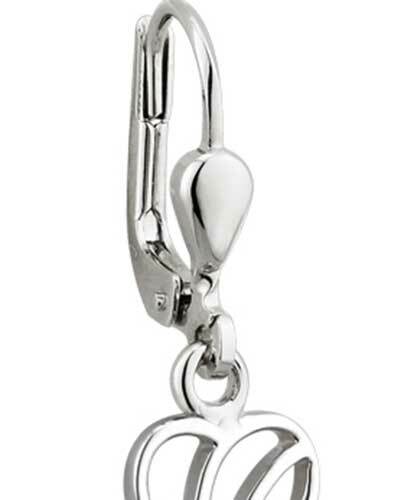 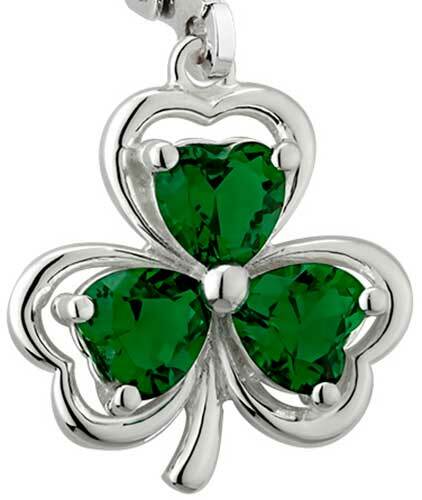 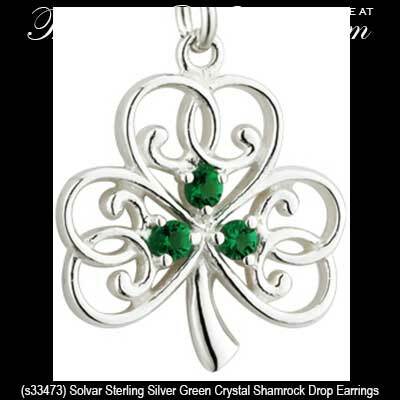 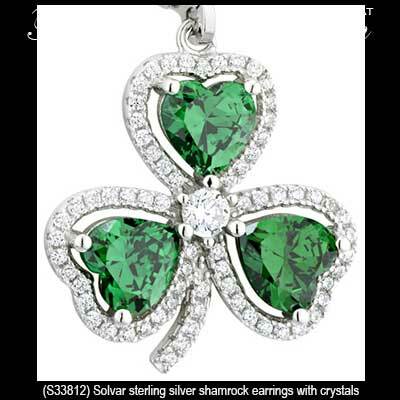 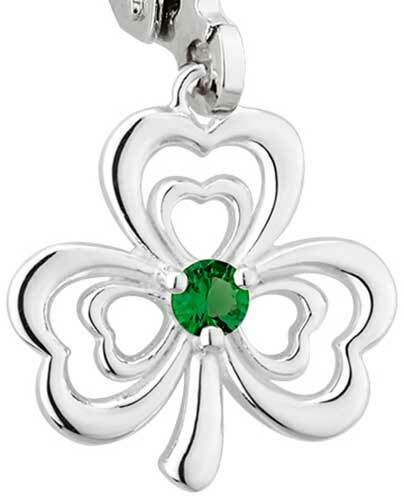 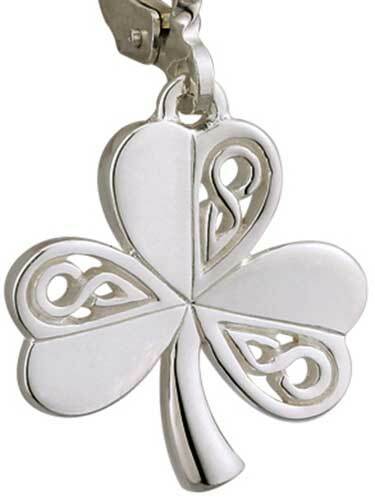 Once you have selected the ideal pair of earrings you may wish to browse our selections of silver shamrock necklaces or the assortment of shamrock charms. 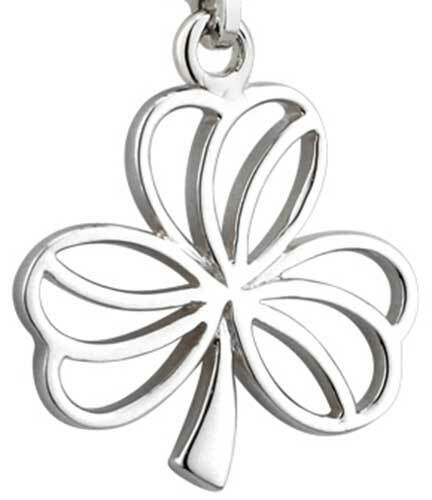 You don't want to forget about your wrists while you are adding to your collection, so take a peek at our substantial selection of shamrock bracelets that are available from The Irish Gift House as link and charm styles along with both hinged and expanding bangles.